Thrust into the technology-driven Earthlands, Shahkara must find the ancient and legendary Elnara death lantern - the only thing that can save her homeworld from the heart-devouring Taloners. She enlists the help of geeky billionaire Max McCalden, but soon finds that, as a half-Taloner herself, her blood demands what she knows she can’t have - a human heart. Shahkara longs for love, but as deadly enemies attack at every turn, will her lust for Max destroy them both? 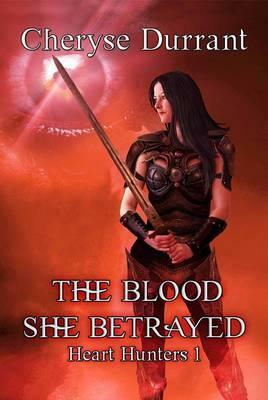 Or will she find the strength to free both worlds from a threat more horrific than the demons that share her blood?